13145 19A Avenue Surrey V4A 9M9 : Crescent Bch Ocean Pk. WOW!! 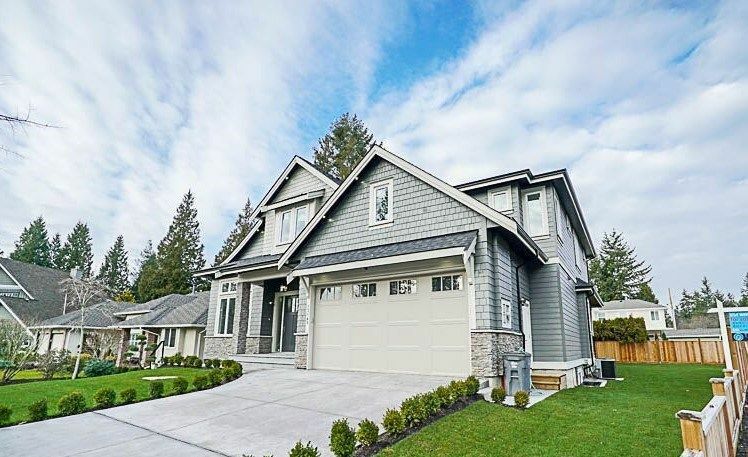 Beautiful BRAND NEW Home in popular Hamstead Heath across from Laronde Elementary in South Surrey/White Rock perfectly designed by well known RAYMOND BONTER! Boasting a cul-de-sac location; 7 Bedrooms/6 Baths/5600 sq ft living space/Legal 2 Bedroom Suite; on a spacious 8076 sq ft fully fenced CORNER LOT. This open, bright, airy home features high ceilings & over sized windows/doors; lovely wood detailing & feature walls; HW floors; Air Conditioning; Built In Security/Camera; Wok kitchen; Quartz Gourmet Kitchen with THERMADOR appls; Spacious Master Retreat with Tiled Spa Ensuite & Deck; 4 Beds & Lounge Up; B/I Bar/Guest Bedroom and Games Room in Basement! Shows extemely well - 2/5/10 Warranty!